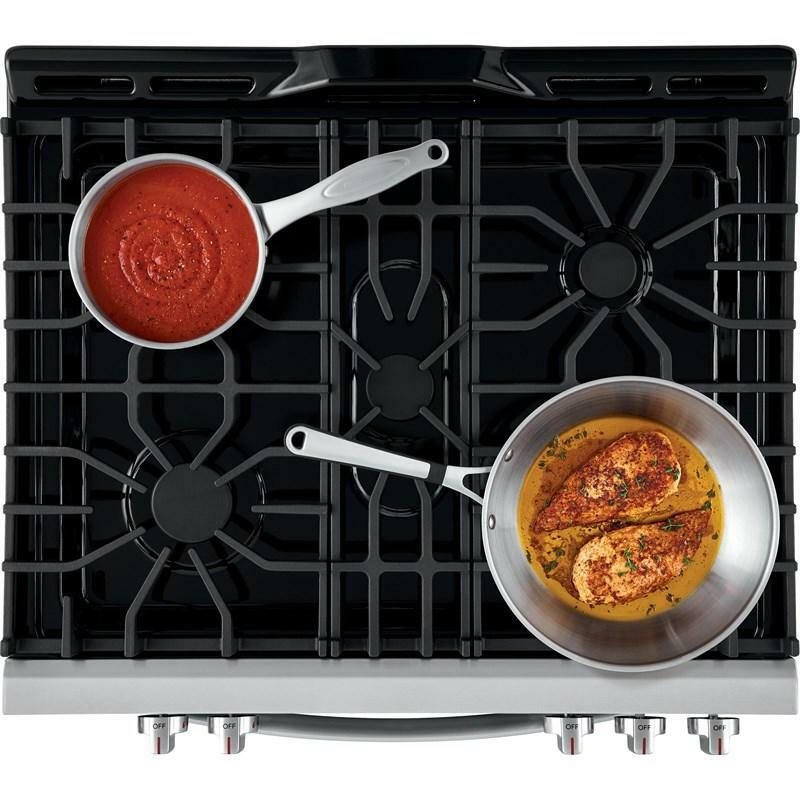 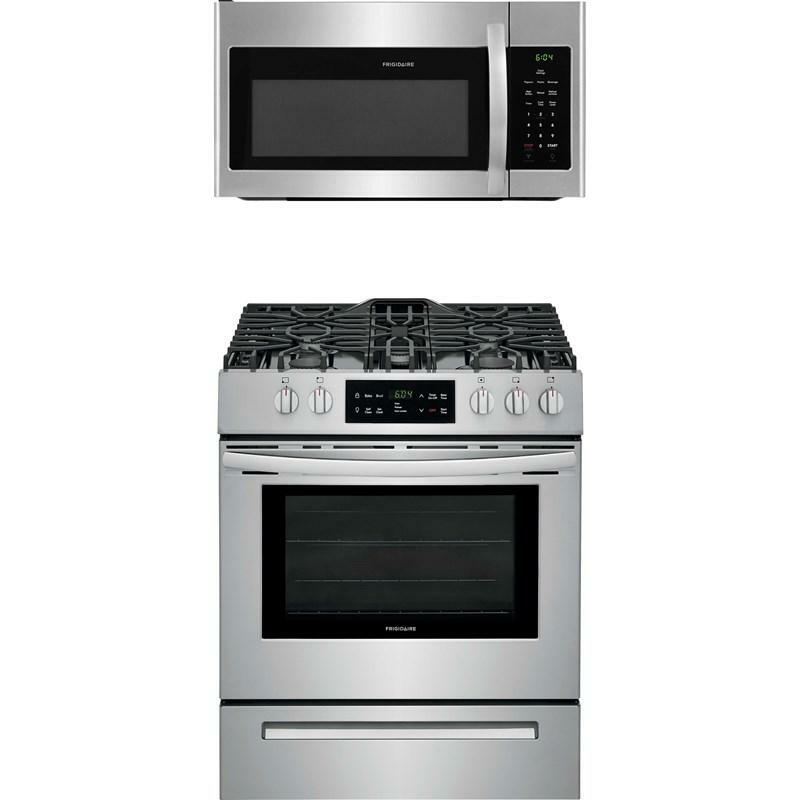 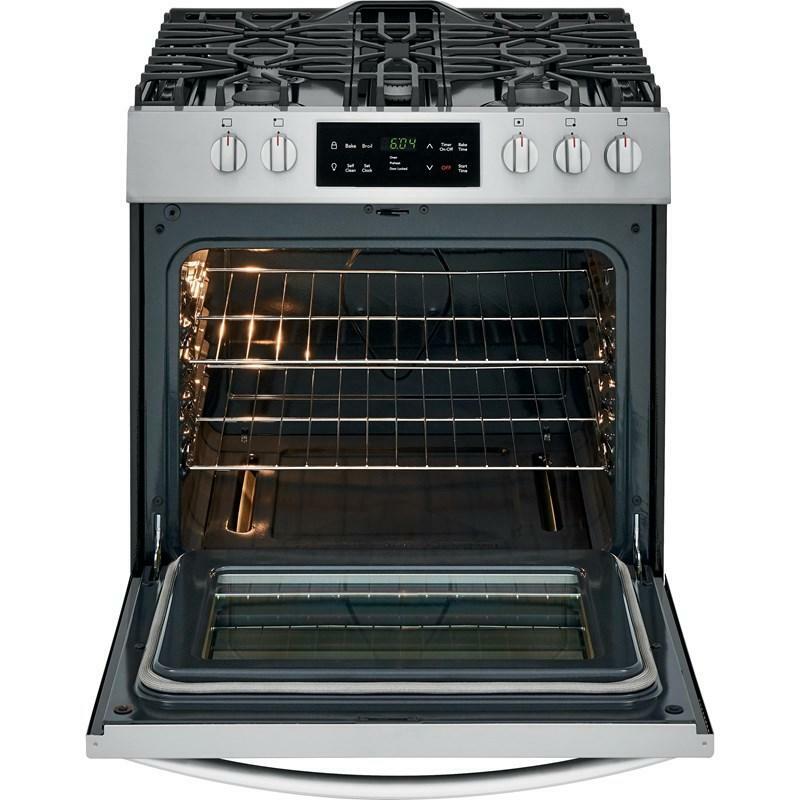 Frigidaire 2-piece kitchen set, including this 30" freestanding gas range that features Ready-Select® controls, 5 sealed burners, a self-clean oven and continuous corner-to-corner grates. 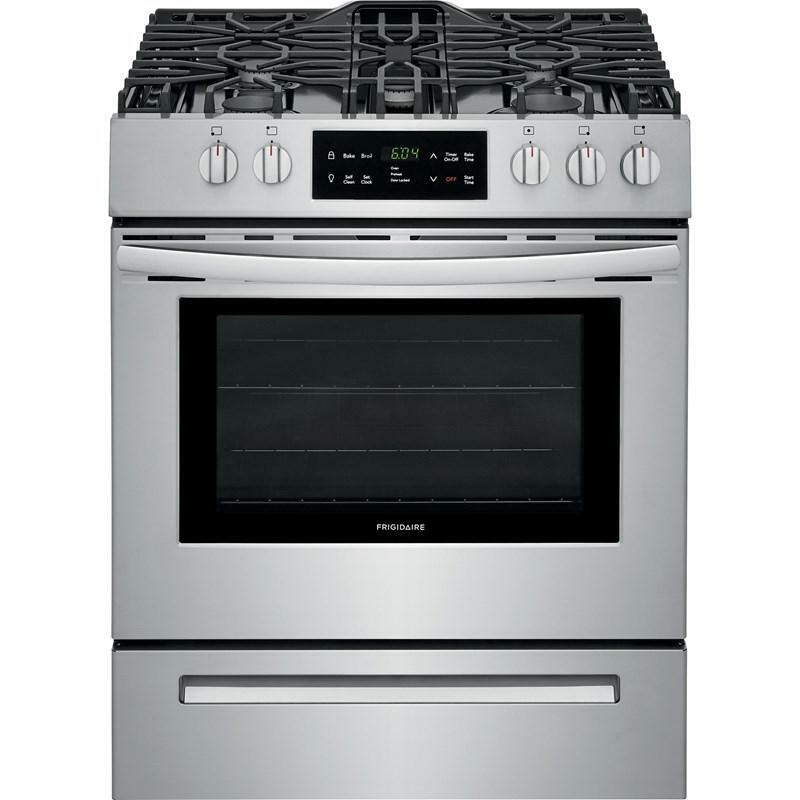 Paired with this 1.6 cu.ft. 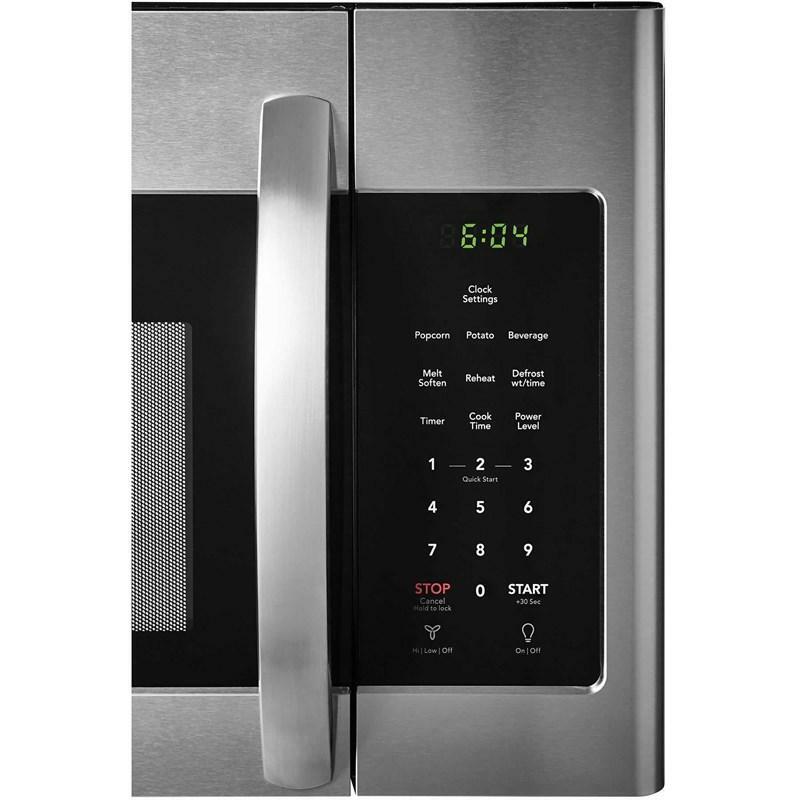 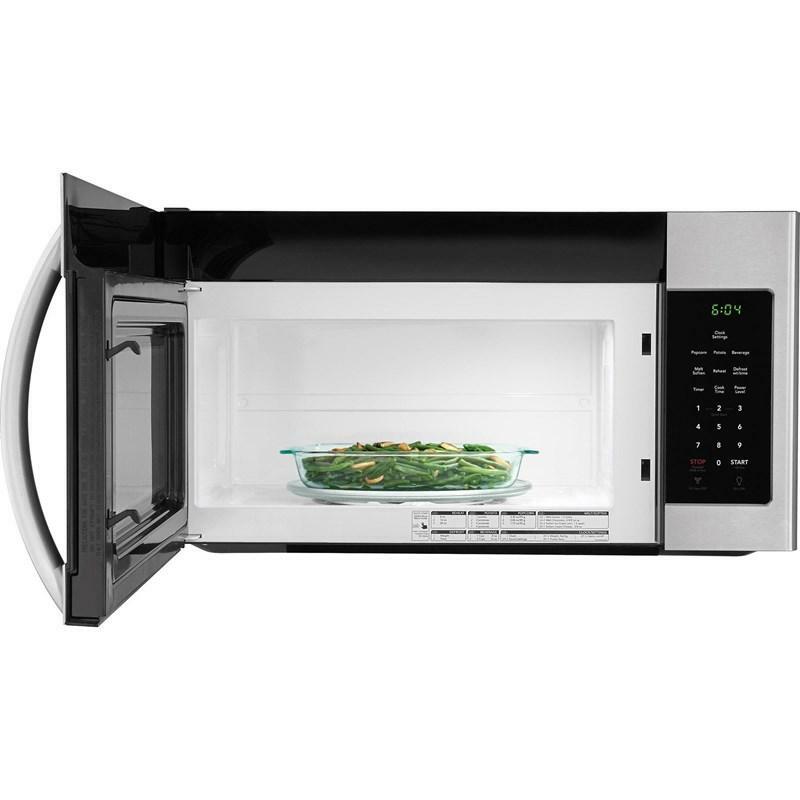 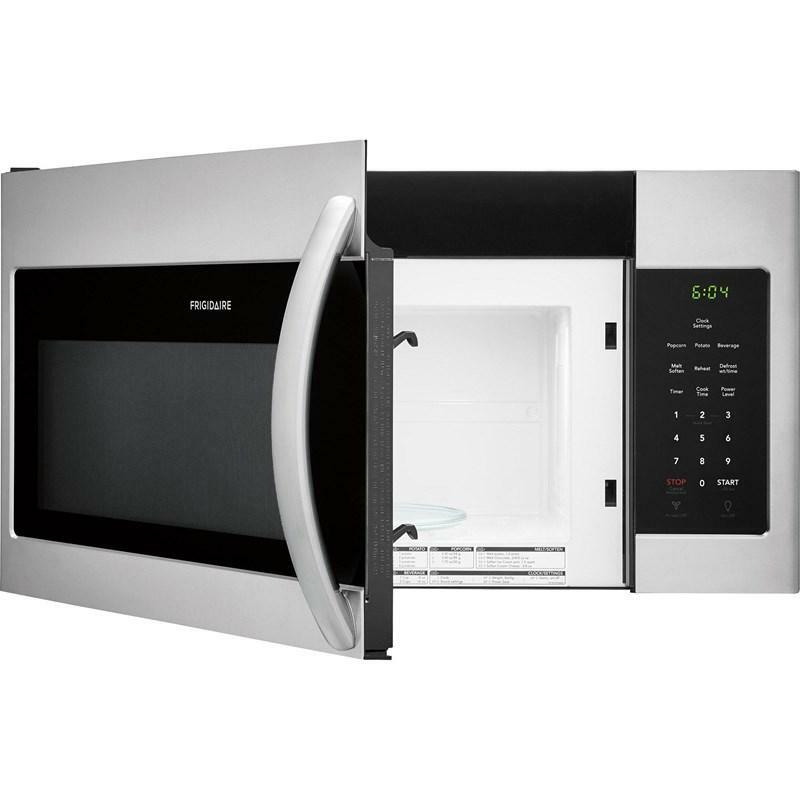 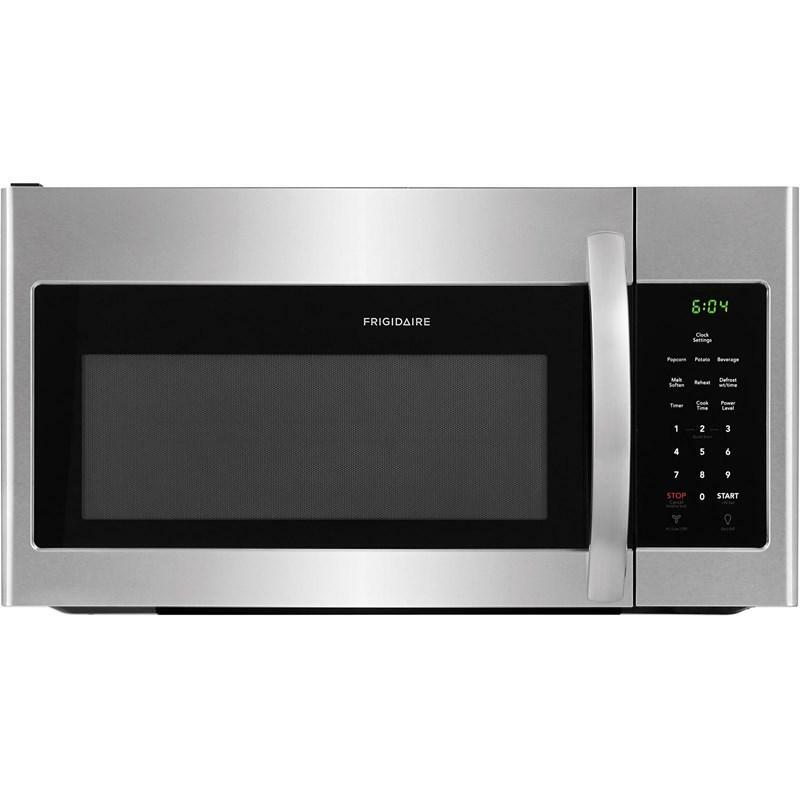 over-the-range microwave featuring cooktop LED lighting, one-touch options, a Fits-More™ capacity and two-speed ventilation. 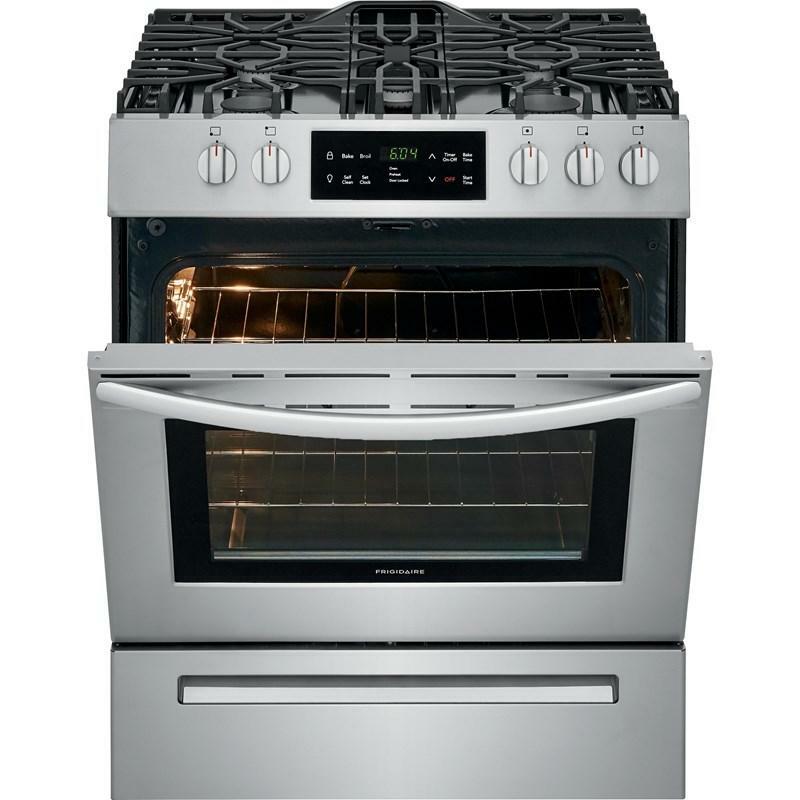 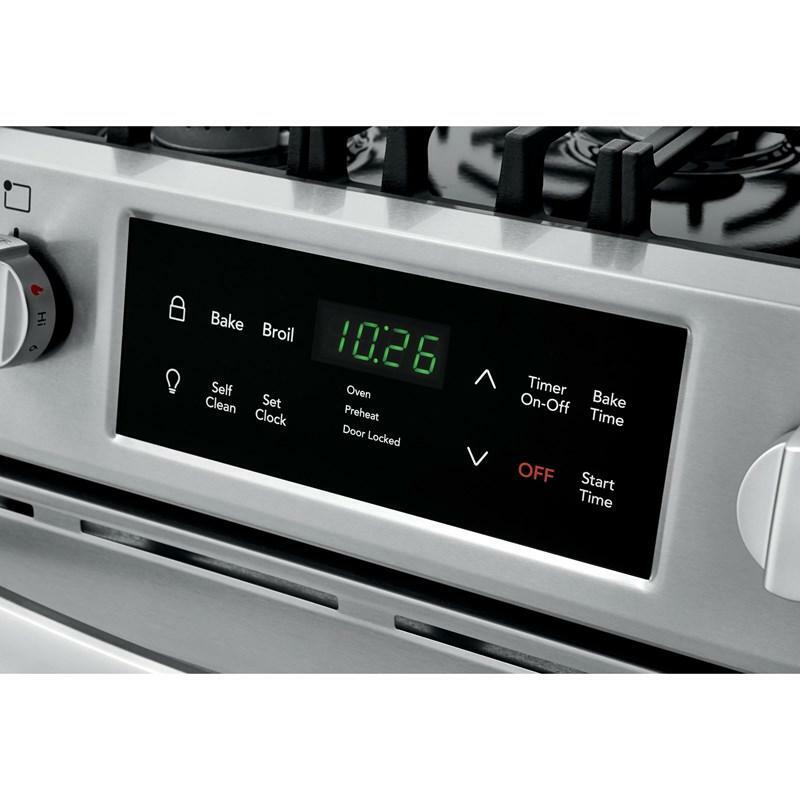 This Frigidaire 30-inch freestanding gas range features Ready-Select® controls, 5 sealed burners, a self-clean oven and continuous corner-to-corner grates.